Palawan, an island region west of the Philippine archipelago, is a popular travel destination for many reasons. 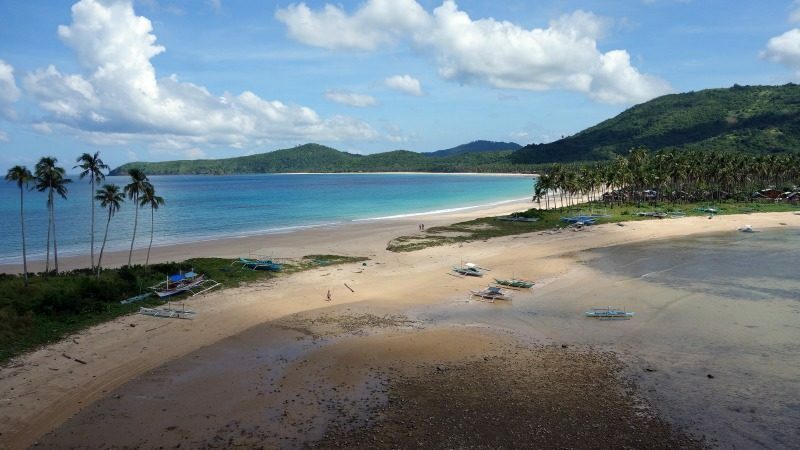 One of the things that sets this island from all other tropical spots, though, is how it is filled with so many beautiful shorelines and stunning Palawan beaches. The island is said to have more than 50 pristine beaches, all featuring distinct tropical settings. Long stretches of white sand, blue-green crystalline waters, and shade-giving palm trees line up on the coastline; these are just a few of the things that make Palawan beaches amazing locations to unwind in. With the number of beaches in Palawan, you might be in a dilemma upon choosing which one to go to first. Let me help you in that department: here is your guide to 5 of the best beaches in Palawan, Philippines. 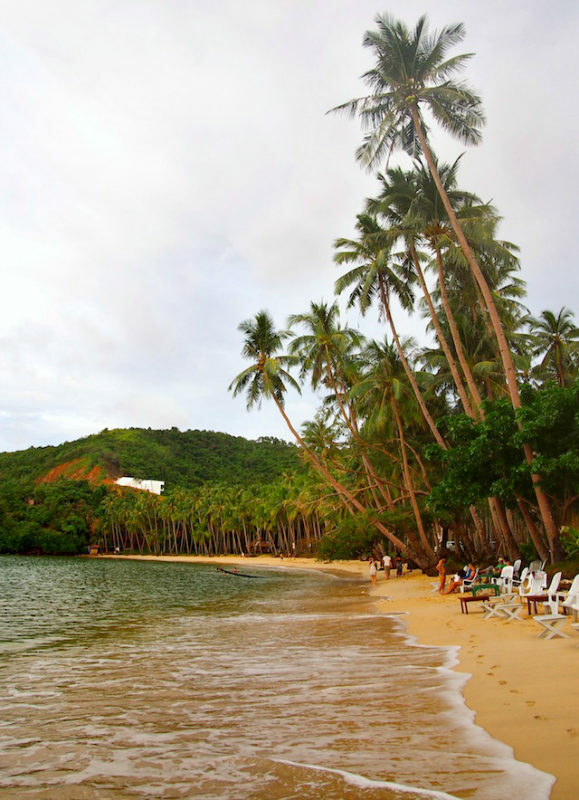 Ipil Beach in El Nido, Palawan is one of those secluded beach paradises. The place is quite serene, and the exceptional beauty of nature showcased by its stunning coastline stands out clearly. The waters are crystal clear and the location offers a beautiful island vista. Coupled with those tall shadowy palm trees and the remarkable coral reef formations, Ipil Beach is your little paradise. Among the gorgeous coastlines of Coron, Banana Island is one of those favoured Palawan beach spots. It has a white sand beach with excellent coral reefs perfect for snorkelling adventures. Its fine sand is hemmed in by turquoise waters. Similar to other beaches in Palawan, Banana Island also offers a beautiful island panorama of the open sea. An incredibly beautiful beach located at Corong Corong, in El Nido. The beach exhibits a long stretch of fine sand and blue-green waters. The place is a top choice for tourists who want to have a peaceful beach experience during their stay. Marimegmeg Beach is one of those unspoilt beach gems on the island. Corong Corong Beach will also give you a pacifying beach experience, making it a first-rate destination for those peaceful retreats. Also, by late afternoon, most of the people there love to spend time on the shore and wait for that beautiful glow of the sunset, which I suggest you do, as well. 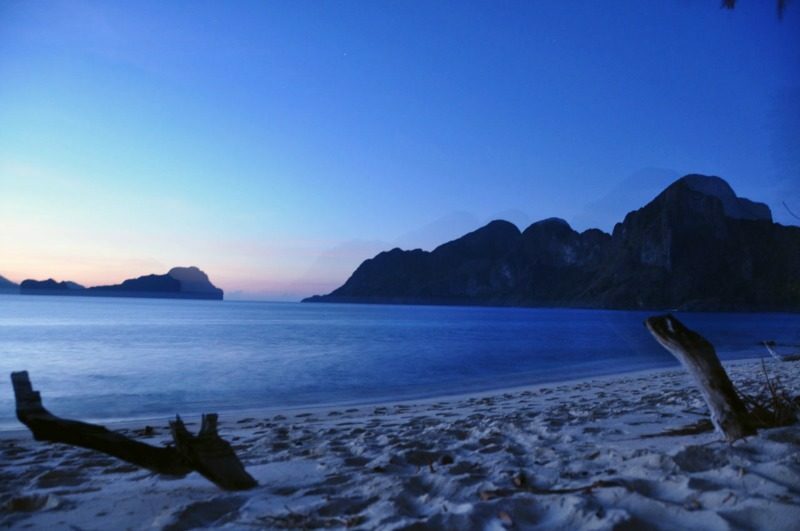 Corong Corong Beach offers the best sunset watching session in El Nido. The island has its list of spectacular coastline destinations. 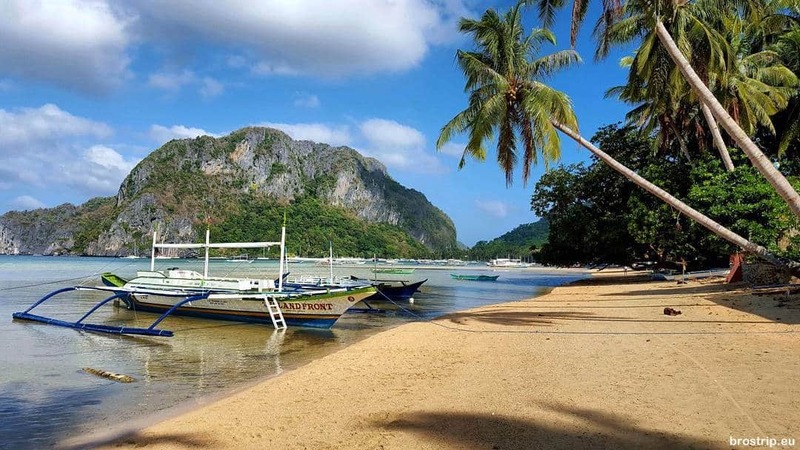 Out of these places, El Nido is one of the ideal spots to enjoy these lovely beaches. 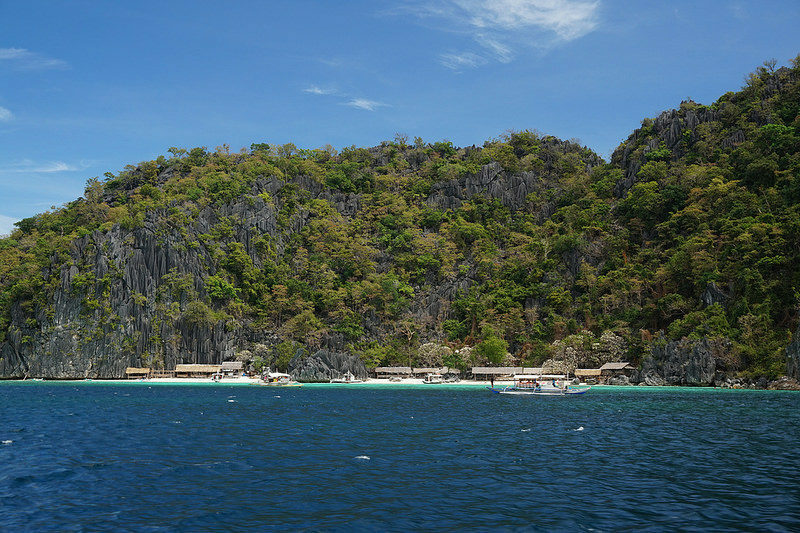 Whether it’s the active beach escape you’re after or a private beach getaway, El Nido has it. If you wish to have the best beach adventure during your Palawan travel, you can never go wrong with El Nido. Indeed, this island paradise in the Philippines has an abundance of captivating postcard-like beach destinations. Undeniably, the island is filled with so many inviting coastlines. One more good thing about Palawan, though? It always has more under its sleeves. So, if you have gone through all these beaches on the list, you can still explore the island and find more alluring coastlines! About the Guest Author: Carmela Kim Alvarez was an editor of ‘Let’s Palawan’ at the time of writing this article. Follow Carmela on Instagram. Albom Adventures accepts guest post submissions from travel bloggers and independent travel writers. If you have an idea you would like to propose, please submit it via the contact form or if you are a business, check out Work With Us for details. 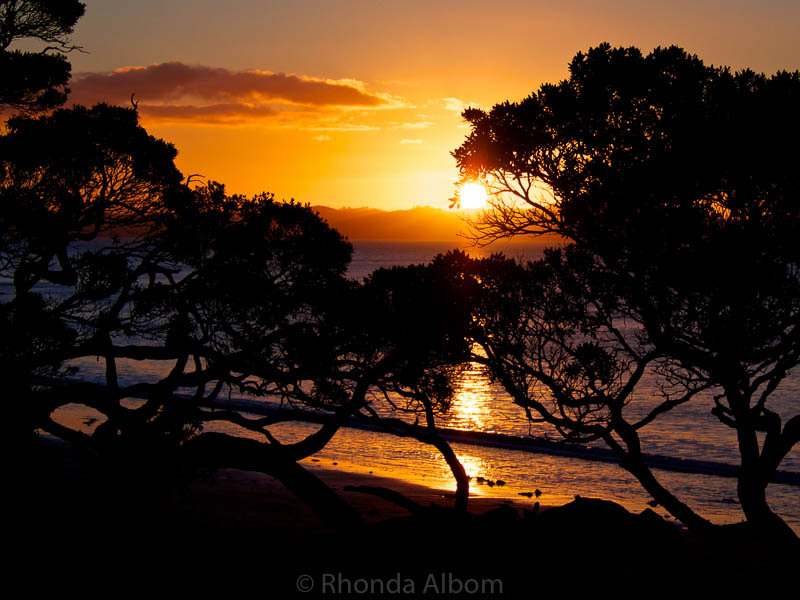 Thanks for this amazing post, Rhonda! Philippines has a lot of beautiful beaches and Palawan is one of the list. Palawan has this international beach vibe on it and it attracts a lot of foreigners. It’s just my opinion tho. Aside from Palawan, you should have tried going to South of Cebu City. There’s a lot of beautiful places in Cebu too! I hope when you are coming back to the Philippines, you will try the fun at Cebu. Anyways, Thanks for sharing this! You are right. There are so many stunning islands and beaches. Palawan does look amazing, as do many of the other destinations. OK, I’m sold. Corong Corong Beach is to die for. 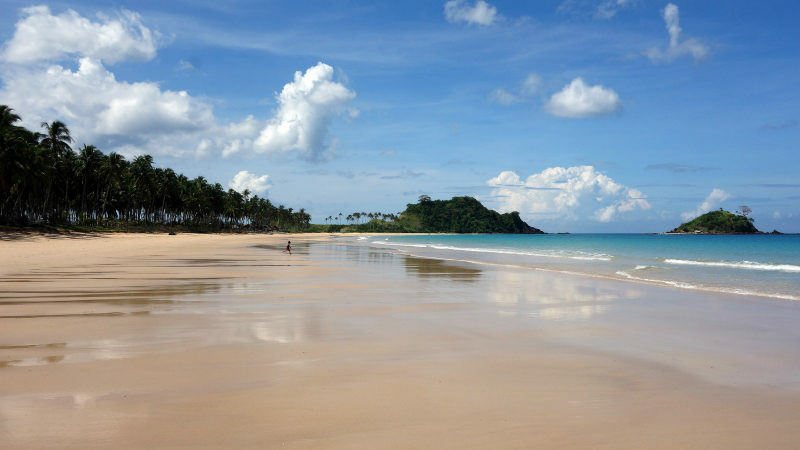 Didn’t care to visit the Philippines so far, but after seeing these beaches… I’m going! I know, can you imagine spending the day on that beach. I think the first photo is my favourite, do people go fishing there? I do not know. I’d rather swim. I have not been in Philippines but after seen these pictures, it is now in my bucket list, omg, they are so beautiful! These beaches are really a Paradise!! I like the empty and private feeling of these beaches. I am Filipino; born. raised and educated in the Philippines. USA is now my home but I always reminisce my beach moments when I was there. In spite of increased tourism activities, there are still numerous beautiful beaches hardly found on tourist maps of Philippines. Tourist should have sense of adventure and discovery to find those places. Remember, my country has over 7,400 islands (latest count). Where to start? Your internet. I am highly recommending two foreign bloggers who are based in the Philippines and have visited numerous sites in this nation of islands: Kyle Jennerman -www.becoming Filipino.com and Nathan Allen with his “I dream of this” blog. They have amazing pictures and detailed narratives of their stay at different places. My heart swell with pride every time I come across articles of tourists enjoying their stay in my home country. Welcome to the Philippines. I have never been to the Philippines. Those beaches look beautiful. The water looks so inviting. I would love to visit there some day. Beautiful photos. I’ve always heard the best beaches also had the best sunsets and that people just stopped to take it all in. I do think my best sunset photos are on a beach. Those are beautiful beaches indeed, Rhonda. I miss my homeland, Indonesia! You should come and visit as well .. I am heading to Bali. It is a port on a cruise ship we will take soon. Corong is picture postcard perfect. I sure hope to dip my toes there someday. With warm tropical waters, a lot more than my toes will be going into the waters. Palawan looks like a secluded tropical paradise. I can spend a spend a week in a place like this. I have a blogging buddy that lives in the Philippines and she and her hubby vacation on beaches often. I’ve so admired the beauty of those beaches. These photos are not mine, they were supplied by the guest blogger. Wish they were, I would love to spend some time on some of those beaches. That first shot is just perfect. I thought so too when I was putting up the post.